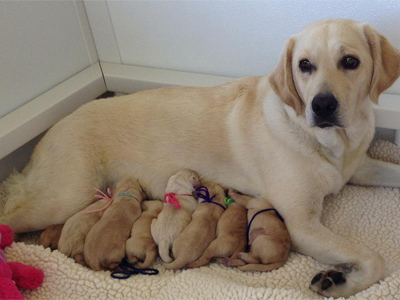 The E Litter Meets an Amazing Milestone | Go. Do. Be Dog. Where are they now, those extraordinary E Litter puppies? Canine Companions for Independence has shared an update of the destiny of the amazing creatures. A tissue alert, people. Their journey to extraordinary began that day and we’ve been following them ever since. From being placed with their volunteer puppy raisers, working on challenging commands and socialization to the developing advanced skills in professional training and participating in Team Training, the E Litter has met many milestones both large and small. These wonderful dogs have given us great insight into what it takes to become a life-changing assistance dog. Posted in Holly. Bookmark the permalink.